Surrey – Surrey Board of Trade Pleased with Pattullo Bridge Re-build Announcement – wants 6 lanes instead of 4 to prepare for future population growth. The Surrey Board of Trade is very pleased with today’s announcement from the BC Government on the re-build of the Pattullo Bridge and that the province will be stepping up to pay for the construction of a $1.377-billion bridge to replace the aging Pattullo Bridge. The new bridge will be four lanes to be built to modern safety standards, featuring a centre safety median barrier and wider lanes to accommodate both passenger and commercial vehicles. The bridge will also have walking and cycling lanes, separated from traffic, on both sides of the bridge. The future of transportation that supports economic growth is a fundamental element to a prosperous economy in both Surrey and New Westminster. 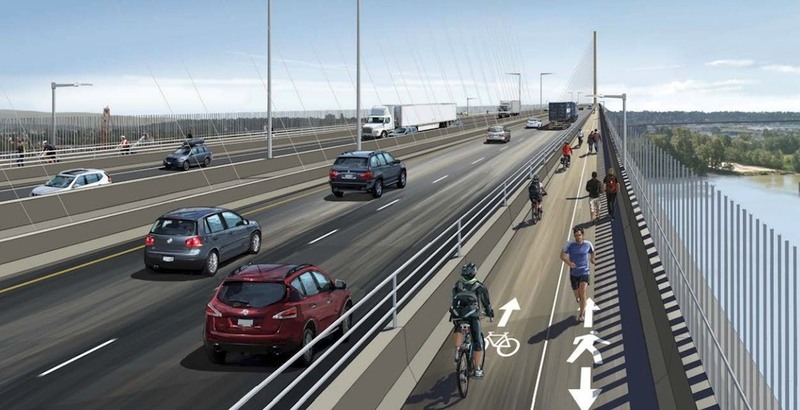 Be the first to comment on "Surrey BOT Loves New Pattullo Bridge – BUT Wants Six Lanes"